Some of my fondest memories as a child are of our family trips to the beach. The sun, the white sand, the clear blue water. Wait, check that. I grew up in Oregon. 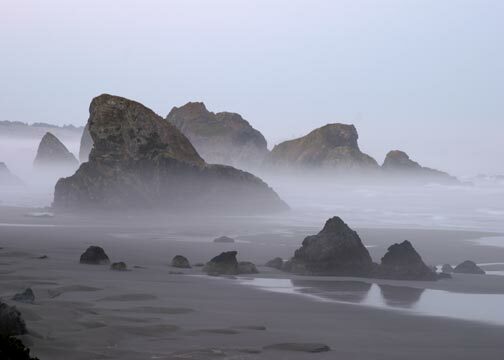 It was always cloudy, the sand was rocky, and the water was murky. But I loved the beach nonetheless. And even in the rocky sand, I loved to build sandcastles. I would always make sure I had my pail and spade in tow, ready to create an impenetrable fortress right there at the base of beach. Except that, inevitably, my fortress would always be penetrated – and washed away – by the water. For sand castles, no matter how well you build them, never last. They always succumb to the relentless pounding of the surf. This past weekend in worship and ABC, we were introduced to one of history’s most infamous rulers – Herod the Great. Known for his ruthlessness and megalomania, Herod would stop at nothing to protect and extend his reign and rule as “king of the Jews,” a title bestowed on him by the Roman Senate in 40 BC. He was married to no fewer than ten women over his life, most of whom he married out of political expediency rather than out of love. He banished his first wife, Doris, because he wanted to marry his second wife, Miriamne. He eventually had her executed after they got into a fight. He also killed his mother-in-law, brother-in-law, as well as three of his sons under suspicion that they were trying to usurp his power. Herod was a tyrant indeed. But for all of Herod’s tyranny, he was also a monarch of great skill and vision. Most notably, Herod was a master builder. He built a whole city called the Caesarea Maritima, situated on the banks of the Mediterranean Sea, which had a breathtaking manmade harbor spanning more than forty acres. He built himself a palace which included baths, a pool, a colonnaded garden, and a 600 foot long terrace. He named it, modestly, the Herodium. But most famously, Herod rebuilt the temple in Jerusalem bigger and better than ever. He plastered it in marble and gold. It ascended higher than a fifteen-story building. It was truly a monument to Herod’s skill as an artisan. Herod began his work on the temple in 19 BC. It was not completely finished until 68 years after his death. If Herod died, as the German theologian Emil Schürer asserted, in 1 BC, that means the temple was finally finished in AD 67. In AD 70, the Roman general Titus laid siege to the city of Jerusalem and destroyed its temple. Herod’s completed temple stood for only three years. Like my sandcastles on the beach, Herod’s building projects weren’t as enduring as he thought they would be. His crowing achievement, the Jerusalem temple, was destroyed only a few years after it was completed. His architecture succumbed to the relentless march of human history. Jesus warns that man’s building projects can and do fall. The only way to make them last is to build them upon a firm foundation – and that firm foundation is Christ. Herod never learned this. Indeed, we learn in Matthew 2:16 that he wanted to kill Christ, not build his life and legacy on Him. What are you building? And more importantly, on whom are you building? The things you build to your own fame will inevitably fall. But what is built on the rock of Christ and to His glory will endure. Do you build on the rock of Christ at your job, with your family, and throughout your life? Or, like Herod, are you only building monuments to your own greatness, which are really no sturdier than sandcastles? As the apostle Paul warns, “If any man builds…his work will be shown for what it is, because the Day will bring it to light. It will be revealed with fire, and the fire will test the quality of each man’s work” (1 Corinthians 3:12-13). May our work not be found wanting – not because of our skill, but because of Christ’s foundation. ABC Extra – You Need A Break! Yes, this is a picture of me. This is when we were at the rodeo in January, seeing MercyMe in concert. Well, our friends and my wife were seeing MercyMe. I, on the other hand, was a little tired that evening. So I took a little nap in the middle of a big concert. I am one of those people who can sleep anytime and anywhere. If I’m tired, my eyes begin to close and my head begins to nod. It doesn’t matter if it is at night or during the day, at a public place or when I’m at home. 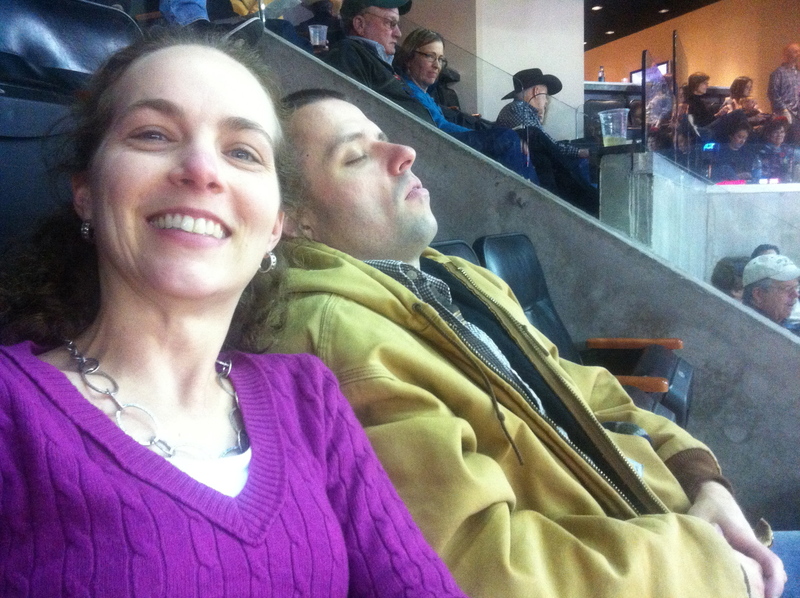 I can even doze at a rodeo. My wife, on the other hand, needs everything to be just right before she can fall asleep. The room must be pitch black. The ambience must be dead quiet. Even the slightest noise in the middle of the night can startle her awake. This past weekend in worship and ABC, we talked about gift and glory of rest. But in a world full of appointments, tasks, meetings, and errands, rest can be hard to come by. Especially during this holiday season, when we have parties to host and presents to buy and relatives to visit, the specter of a restful Christmas can seem to be nothing but a cruel illusion. Most people mistakenly believe that all you have to do to stop working [and rest] is not work. The inventors of the Sabbath understood that it was a much more complicated undertaking. You cannot downshift casually and easily, the way you might slip into bed at the end of a long day. As the Cat in the Hat says, “It is fun to have fun but you have to know how.” This is why the Puritan and Jewish Sabbaths were so exactingly intentional, requiring extensive advance preparation – at the very least a scrubbed house, a full larder and a bath. The rules did not exist to torture the faithful. They were meant to communicate the insight that interrupting the ceaseless round of striving requires a surprisingly strenuous act of will. Resting “requires a surprisingly strenuous act of will.” In other words, rest isn’t easy! It must be intentional. You must schedule rest, prepare for rest, and then stubbornly take a rest, even if it spites a calendar which clamors for your every waking moment. Second, to rest, we must examine our hearts. The apostle John writes, “We set our hearts at rest in God’s presence whenever our hearts condemn us. For God is greater than our hearts, and He knows everything” (1 John 3:19-20). Rest, John reminds us, goes deeper than just how many appointments we have scheduled. It goes down to the state of our hearts. Thus, even when our schedules are packed full and our lives are running at high speed, our hearts can be at rest because our hearts are held by the Lord. The stress our world does not have to ruin the rest of our hearts. Thus, even when we feel as though our hearts are overwhelmed by this world’s demands, we can cling to this promise: “God is greater than our hearts.” God’s power and grace far outweigh, outlast, and outdo the anxiety and unrest we can harbor in our hearts. So find your rest in Him. He’s just the break you need. Judith Shulevitz, “Bring Back the Sabbath,” The New York Times (3.2.2003). When trying to understand a particularly puzzling or perplexing passage of Scripture, it is helpful to turn to other interpreters and study how they have interpreted the passage. 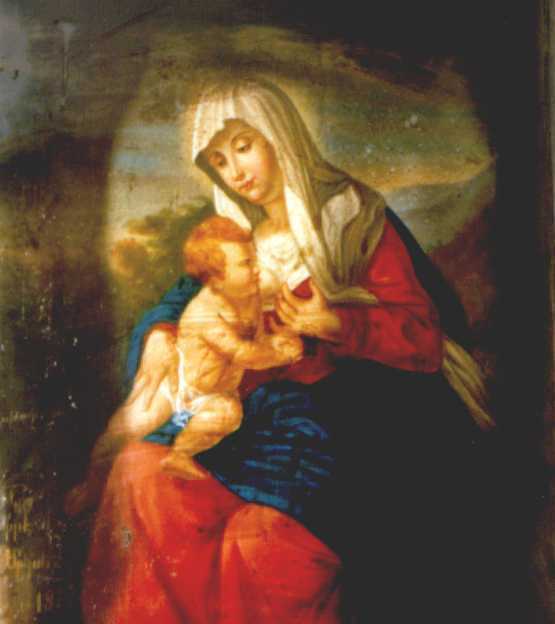 This is especially helpful in the case of Isaiah 7:14, a famous prophecy about the birth of Jesus: “Therefore the Lord Himself will give you a sign: The virgin will be with child and will give birth to a son, and will call Him Immanuel.” This passage became a source of heated debate and disagreement when the Revised Standard Version of 1952 famously translated, “Therefore the Lord Himself will give you a sign. Behold, a young woman shall conceive and bear a son, and shall call His name Immanuel.” Traditionally, this verse has been taken as a prophecy of the miraculous conception of Christ as one who was born of a virgin girl named Mary: “This is how the birth of Jesus Christ came about: His mother Mary was pledged to be married to Joseph, but before they came together, she was found to be with child through the Holy Spirit” (Matthew 1:18). It was the Holy Spirit, Matthew says, who planted the Christ child in Mary’s womb. Mary, therefore, was still a virgin when she had Jesus. But the RSV changed the traditional translation of Isaiah 7:14 from “virgin” to “young woman.” Why the change? The crux of the debate centers on the Hebrew word for “virgin,” or, as the RSV translates, “young woman.” The word is almah. And although almah does generally refer to a young woman who is a virgin, there are limited instances where it may refer to a young woman not in a virginal state, the most famous being Proverbs 30:18-19: “There are three things that are too amazing for me, four that I do not understand: the way of an eagle in the sky, the way of a snake on a rock, the way of a ship on the high seas, and the way of a man with a maiden.” The Hebrew word for “maiden” is almah. In this instance, the word seems to be referring to a woman already married and, hence, no longer in a virginal state. This is why the translators of the RSV opted for a more general translation of almah – “young woman” – rather than a more specific one – “virgin” – in Isaiah 7:14. The difficulty with this translation, however, is that Christianity’s critics have quickly pounced on this translation to undermine the Christological implications of this prophecy. Rather than foretelling the virgin birth of Christ, these critics maintain that this prophecy points only to events in the Isaiah’s own day. This debate, then, leads us to this important question: Which translation of almah is correct? “Virgin” or “young woman”? And make no mistake about it: At stake here is far more than trifling lexical nuances. At stake here is a prophecy which the gospel writer Matthew says is fulfilled finally and fully in Jesus Christ! Indeed, Matthew cites this prophecy in his birth narrative: “All this took place to fulfill what the Lord had said through the prophet: ‘The virgin will be with child and will give birth to a son, and they will call him Immanuel’—which means, ‘God with us’” (Matthew 1:22-23). Did Matthew misquote, misunderstand, or, worse yet, purposefully misuse this passage from Isaiah 7:14 when he applied it to the virgin birth of Jesus? It is here that it is helpful to turn to other interpreters and see how they have understood this particularly puzzling and perplexing passage of Scripture. One of the oldest interpretations of this passage comes to us via an ancient translation of the Bible called the Septuagint. The Septuagint is a Greek translation of the Old Testament, commissioned in the third and second centuries as more and more Jews, after Alexander the Great undertook his project of radically Hellenizing the whole world, were no longer able to speak and understand Hebrew fluently. This Septuagint was a way for the Jews to maintain their religious Scriptural heritage in a language they could read and understand. And in Isaiah 7:14, the Hebrew word almah is translated as the Greek word parthenos. And although there may some limited linguistic ambiguity in the meaning of the word almah, there is no such ambiguity in the word parthenos. 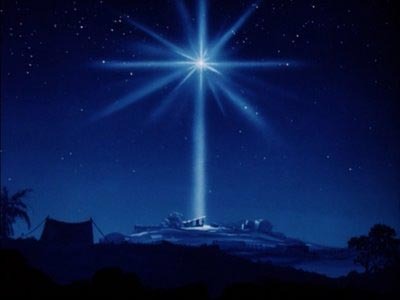 It means “virgin.” Thus, ancient Jewish translators, living before the birth of Christ, interpreted this prophecy Messianically, referring to a miraculously virgin born Messiah. And Matthew, in his account of Jesus’ birth, picks up on the Seputagintal translation of this prophecy and too uses the word parthenos. Interestingly, later Jewish Greek translations of this verse from the second century AD translate almah as neanis, meaning “young woman,” no doubt in an attempt the mute the Christian interpretation of this passage. But before the birth of Christ, the Jews were expecting nothing less than a miraculously born Messiah – a virgin born Messiah. Thus, this particularly puzzling and perplexing prophecy stands as it has traditionally been interpreted. And this particularly puzzling and perplexing prophecy is puzzling and perplexing no more. For it has been fulfilled in Jesus.